Last November as part of this region’s ForestTECH series that ran, local forest resource managers heard from Airbus Defence & Space on progress being made on a raft of projects including work on combing drone and satellite technologies and their solar-powered Zephyr, an aerial platform that operates in the space between conventional satellites and manned aircraft. 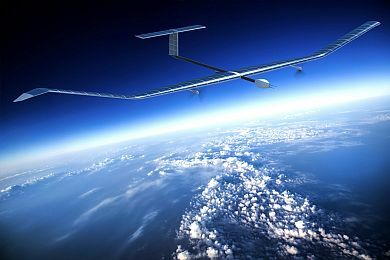 “This very successful maiden flight represents a new significant milestone in the Zephyr programme, adding a new stratospheric flight endurance record which we hope will be formalized very shortly,” said Jana Rosenmann, Head of Unmanned Aerial Systems at Airbus. “We will in the coming days check all engineering data and outputs and start the preparation of additional flights planned for the second half of this year from our new operating site at the Wyndham airfield in Western Australia”. Airbus anticipates that the Zephyr drone will appeal to both commercial and military customers. It could, for example, provide improved disaster management and situational awareness, monitoring the spread of wildfires or oil spills from far above. From a military perspective, the obvious application will be for persistent surveillance. But swapping out payloads could instead allow the Zephyr to be used for providing communications to unconnected parts of the world.